This is an interesting photograph of a ferry in China. 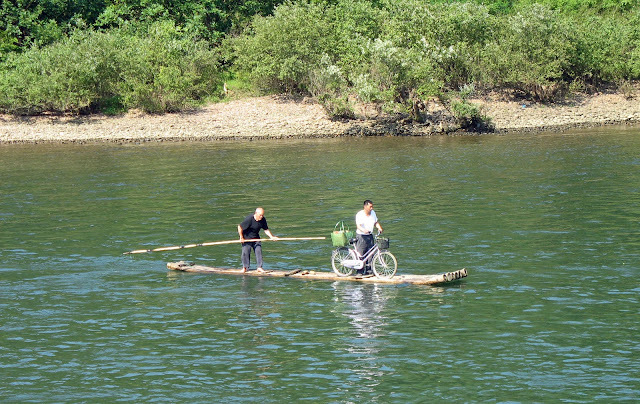 You can see a man with a cycle being transported across the river. The canoe seems to be made of some type of hollow bamboo poles and the boatman is an old man. The canoe seems to be specifically made for transportation of cycles because it seems to be made of long hollow bamboo pipes and there is no seat nor any sides to the vehicle! Something that I have never seen before.